Places to see in Murti: Murti village is located by the banks of Murti River and it is very close to Chapramari forest and Gorumara National Park. 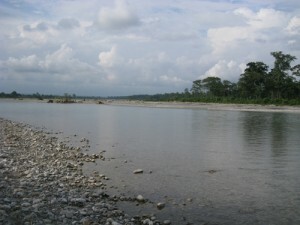 In fact, Murti River is one of the main rivers skirting right through the middle of Gorumara National Park. Nearby attractions of Murti: The entire Dooars range of forests can be reached from Murti. 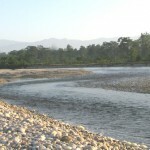 Forests like Gorumara, Chapramari, Chukchukia, Khunia and Chalsa are all nearby. 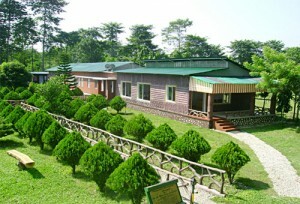 You can also visit nearby hill destinations like Jhalong, Bindu and Paren. Samsing, Suntaleykhola and few other spots like Mouchuki marking the fringes of other jungles like Neora Valley N.P are also located nearby. 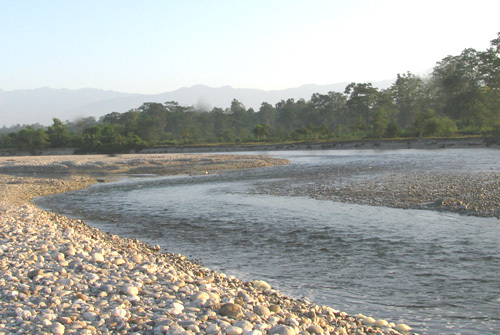 Things to do in Murti: Camping, angling and hiking are the two most popular activities in Murti. Plus, bird watchers will have a great time too. You can also enjoy jungle safari in Gorumara N.P and other nearby forests from Murti. How to reach Murti: You can reach Murti from New Mall Junction Railway Station. If you are traveling by air, then the nearest airport is at Bagdogra from where you can hire cars to reach Murti. Murti can also be reached from Siliguri or New Jalpaiguri Station by hiring cars. Best time to visit Murti: Murti can be visited any time of the year. However, if you are planning for jungle safari then avoid the monsoons because the jungles remain closed during the rains. Lodging and dining facilities at Murti: You won’t find many hotels in Murti because it is a very small village tucked within a bend of the Murti River. There are a few basic budget hotels and a couple of very nice, well maintained private hotels with all modern facilities. Food is served in the hotels which mainly comprises Bengali cuisine. There is no Government run accommodation in Murti.